When it comes to your business, what image do you want to portray? The first thing customers or clients see when they pull up to your building is the parking lot. A beat-up parking lot with potholes doesn't exactly scream professionalism! You provide quality inside, let us upgrade the quality outside. Improve your image and your visitors’ confidence with a neat-looking, new parking lot by All Phases Asphalt Paving! 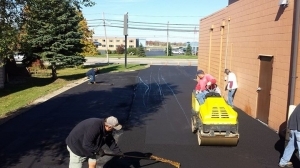 With nearly four decades of experience in the area, All Phases Asphalt Paving’s commercial paving contractors know how to accommodate every variety of business and organization. Restaurants - Our team has provided paving for dining establishments in your area. Whether you rely on a drive-thru or expect your customers to park and come inside, we can accommodate you. Office Buildings - Small businesses aim to provide quick, effective service for their customers, and that begins by offering them a safe and convenient place to park. We can pave parking lots for your office building, ensuring that customers can easily access your firm. Housing - Private neighborhoods need to offer their tenants and owners convenient parking spots. We are happy to pave these parking areas, as well as the surrounding city streets. Retail Stores - Not only do retail stores need paved parking lots, but they also rely on solid loading areas to bring in new inventory. We can make sure that both features are in premium condition. Without quality commercial asphalt paving, neither your employees nor your customers can reach your premises or move safely around them. 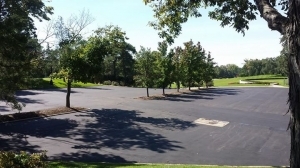 All Phases Asphalt Paving provides the foundation your business needs to operate successfully. Headquartered in Waterford, we offer paving services for businesses throughout Southeast Michigan. We strive to make your organization as accessible, safe, and sustainable as possible, all while working quickly and affordably. One call will get you a brand new parking lot! 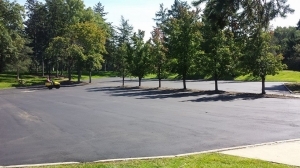 Don’t wonder “is there parking lot paving near me?”; let us handle all aspects of the parking lot paving process for you! We can repair your parking lot or even build you a new one from scratch. Whatever you require, your paving needs will be met in a timely manner. 80% of our work comes from referrals so you know that your neighbors trust us! To request your free parking lot paving estimate, contact the experienced professionals at All Phases Asphalt Paving today! See What We Can Do for Your Property! businesses into functional, beautiful properties. The contents of this webpage are Copyright © 2019 All Phases Asphalt Paving & Concrete. All Rights Reserved.